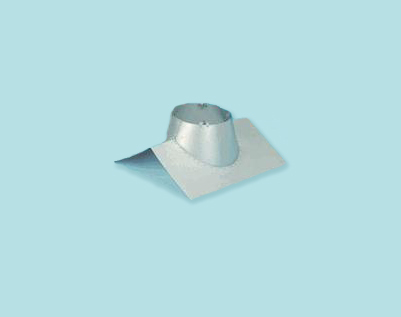 If you must terminate a Secure Temp chimney through the peak of a roof you need to use this Peak Roof Flashing with Storm Collar. Is the chimney peak roof flashing adjustable? The cone of the flashing is highly malleable, allowing this model to work for an 8/12 to 12/12 pitch without a problem. How large is the hole of this roof flashing? This flashing is sized for 6" class A chimney with an 8" outer diameter. The opening in which the pipe passes through is to be slightly larger than the outer diameter of the pipe itself.